Here’s how to navigate Lovefraud to take advantage of all the features. All the words in red are direct links. Red menu bar is your navigation for Lovefraud.com. Gray menu bar is your navigation for Lovefraud Continuing Education, which offers online courses about personality disorders for professionals and the public. To search Lovefraud, type any search term in the box located under the gray menu bar. This button brings you to the front page of Lovefraud.com. Lovefraud publishes a new article almost every day. These buttons takes you to the 10 most recent Lovefraud Blog articles. 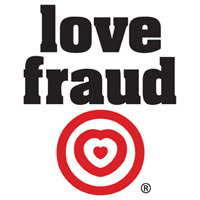 Here you’ll find all the categories of Lovefraud Blog articles. Click the red arrows to see subcategories. Lovefraud has been publishing blog articles since 2006. If you want to dig deep into the archives, here’s where you’ll find all Lovefraud’s posts, organized by month and year. This link takes you to the cover page for Lovefraud’s basic information about sociopaths. You’ll see more details on this section below. Here’s where you can start your own conversation, and respond to questions and stories posted by others. Explore Lovefraud’s continuing education program for survivors, therapists and everyone who wants to keep sociopaths out of their lives. This button brings you to the front page of education.lovefraud.com. Here you’ll find Lovefraud CE courses organized into categories. Mental health and education professionals — you can earn continuing education credits when you take Lovefraud CE courses. Here are the details. Answers to your questions about the Lovefraud CE program. Information on Lovefraud CE presentations for high school and college students. Information about Lovefraud Education and Recovery, a New Jersey Nonprofit Corporation. Please donate to support our work. Here’s where you can purchase Lovefraud CE online courses. Self Study On Demand courses are available immediately. Here’s all the information about any Lovefraud CE courses that you purchase. Is your partner a sociopath? Get your exclusive free checklist. Links to the Lovefraud Blog and Forum, with recent blog posts, blog comments and forum replies. You can read the pages in sequence — a link at the bottom of each page takes you to the next topic. Or, you can see links to all the pages at once on the site map. Here are the basic traits learn to recognize them. Link to the Lovefraud Blog category of articles about female sociopaths. Lovefraud Media Survey — Here’s where you can share your story. Lovefraud posts many of these stories as “Spath Tales” (without any information to identify you). Plus, if reporters are looking for a story like yours, we can put them in touch with you. To contribute to the Lovefraud conversation, write your comment in the “Join the Discussion” window and hit “Submit.” After your comment is submitted, it will move to the end of the list of comments. Here’s where you can look for specific comments. You may edit your comment. Visitor agreement — Lovefraud’s terms of service. Lovefraud Blog — the objectives. How to comment — Step-by-step instructions on how to register for Lovefraud so you can post comments. Note: The email list and blog registration are two different databases, so you need to sign up for them separately. You’ll also find Guidelines for comments, along with Lovefraud’s statement on Spiritual recovery. Write for Lovefraud If you’d like to share your experience, observations or insights about sociopaths, please feel free to write an article for Lovefraud! Link to Lovefraud — Lovefraud’s content is copyrighted, so you may not republish it without written permission. However, you are welcome to link to any page or post. There’s even a button you can download. Media coverage — Donna Andersen has made multiple television and radio appearances, and has been quoted in many articles. Go back to the old interviews they’re full of great information. Press releases — Lovefraud’s press kit and past press releases, including tip sheets and images. Subscribe to Lovefraud — Another link that enables you to join the Lovefraud email list. Register — If you want to post comments, click this link to register for the Lovefraud blog. Complete the Google Captcha, which prevents spam registrations. Log in — Once you’re registered, log in with this link.